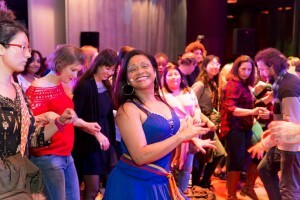 On Sunday, December 2nd I organize an internship of caleña Colombian salsa. It's the opportunity to discover a new style, put into practice what you've learned in class, learn new tricks for students who want to change levels. You can come alone or accompanied. Come with comfortable clothes and shoes with a bottle of water. Place: Marais Dance Centre 41 rue du Temple 75OO4 Paris. Rate: €25 in pre-registration. € 3o on site. Settle during my classes: preferably in species. Don't forget to subscribe to our Youtube channel, our Instagram account and Facebook Page. If you are satisfied with the Academia Maritza Arizala, feel free to give your opinion. I'm waiting for you for the last internship of the year!